2018 鄭建民、陳美利，“振動能源及採集技術＂，科學發展期刊549期，2018年 9 月 pp. 63–66. Mei-Li Chen, Chung-Chun Wu, Sheng-Chang Wang*, Shih-Kai Hsu, “ One-dimensional Copper Sulfide Nanowires Growth by Hydrothermal Synthesis Assisted with Porous Anodized Alumina Membrane Template”, 南臺學報工程科學類 第1 卷第1 期 2016 年 3 月 pp.1–12. Mei-Li Chen*, “Analytical Subthreshold Behavior Model for Symmetrical Tri-Material Gate Stack Double-Gate MOSFETs” Journal of Southern Taiwan University, vol.35, no.1, pp.39-50, 2010. Chien-Min Cheng, Mei-Li Chen*, Fuh-Cheng Jong, Ying-Jie Chen, Bo-Ming Chen, Qi-Hong Chen, and Jun-Hong Lin, “Resistive Switching Properties for the Co-sputtering GdOx:SiOx Resistance Random Access Memory Thin Films＂, 2018 IEEE International Conference on Advanced Manufacturing (IEEE ICAM 2018) . Nov., 2018. Chien-Min Cheng, Mei-Li Chen*, Kai-Huang Chen, Fuh-Cheng Jong, Po-Hsiang Pan, and Rui-Yo Huang, “Dielectric and Piezoelectric Characteristics Improvement of the LiF Doped (1-x)BCTS + xLKNNT Lead-Free Piezoelectric Ceramics＂, 2018 International Conference on Science, Engineering, Vocational Education and Novelty (ICSEVEN 2018). Nov., 2018. Mei-Li Chen*, Sheng-Chang Wang, Fuh-Cheng Jong, Zong-Sian Lai, and Yi-Cheng Chang, “Synthesis and characterization of copper zinc tin sulfide Cu2ZnSnS4＂, 2018 International Symposium on Novel and Sustainable Technology. Oct., 2018. Mei-Li Chen, Chien-Min Cheng*, Fuh-Cheng Jong, Ba-Cong Cai, Guan-Ting Shi, and Chi-Ying Tsai, “Characteristics of the Resistive Switching Properties in SmOx:SiOx Memory Devices＂, 2018 International Symposium on Novel and Sustainable Technology. Oct., 2018. Mei-Li Chen, Chien-Min Cheng*, Kai-Huang Chen, Fuh-Cheng Jong and Yi-Yun Pan, “Development of the Transparent Indium Tin Oxide Thin Film Resistance Random Access Memories＂, 2018 International Conference on Science, Engineering, Vocational Education and Novelty (ICSEVEN 2018). Apr., 2018. 張智凱, 吳明峻, 陳美利,鄭建民，“(Ba0.95Ca0.05)(Ti0.93Sn0.07)O3+y wt%LiF無鉛壓電陶瓷薄片之研究＂，2017民生電子研討會，Nov., 2017. Mei-Li Chen, Chien-Min Cheng*, Kai-Huang Chen, Fuh-Cheng Jong, Chin-Chia Chang, and Min-Han Chuang, “Characteristics of the Resistive Switching Properties in Samarium Oxide Memory Devices＂, 2017 International Symposium on Novel and Sustainable Technology. Oct., 2017. Mei-Li Chen, Chien-Min Cheng*, Kai-Huang Chen, Fuh-Cheng Jong, Chin-Chia Chang, and Min-Han Chuang, “Resistive switching properties in samarium oxide resistance random access memories＂, 2017 International Symposium on Novel and Sustainable Technology. Oct., 2017. Mei-Li Chen*, Sheng-Chang Wang, Fuh-Cheng Jong, Heng-You Liou, Cheng-Hsian Chang , and Ming-Yi Yen, “Synthesis and characterization of Tin Disulfide nanoparticles＂, 2017 International Symposium on Novel and Sustainable Technology. Oct., 2017. Mei-Li Chen*, Siang-Ru Huang, and Sheng-Chang Wang, “Synthesis and characterization of Tin Sulfide nanoparticles＂, 2017 International Symposium on Novel and Sustainable Technology. Oct., 2017. Mei-Li Chen*, Siang-Ru Huang, and Sheng-Chang Wang, “Synthesis and characterization of Graphene doped Tin Sulfide nanoparticles＂, 2017 International Symposium on Novel and Sustainable Technology. Oct., 2017. Mei-Li Chen*, Siang-Ru Huang, and Sheng-Chang Wang, “Synthesis and characterization of Graphene doped Tin Disulfide nanoparticles＂, 2017 International Symposium on Novel and Sustainable Technology. Oct., 2017. Yue-Han Tsai, Mei-Li Chen, Chien-Min Cheng*, Kai-Huang Chen, and Bo-Quan Xie, “Transparent ITO Resistance Random Access Memory Devices＂, 2017 International Symposium on Novel and Sustainable Technology. Oct., 2017. Chien-Min Cheng, Kai-Huang Chen, Fuh-Cheng Jong, Da-Huei Lee, Mei-Li Chen*, and Jhih-Kai Chang, “Dielectric and Piezoelectric Characteristics Improvement of the LiF doped BCTS Lead-Free Ceramic Sheets＂, 2017 International Conference on Science, Engineering, Vocational Education and Novelty. Oct., 2017. Cheng-Tai Tso*, Cheng-Jhih Jhang, Yih-Jaan Tsai, Tan-Xuan Wu, Huang-Huei Sung, Jung-Chuan Fan, Mei-Li Chen, Kun-Yauh Shih, Yaw-Teng Tseng, Jiann-Shing Lee, Hung-Yi Chen, Chun-Rong Lin, “ Synthesis and Characterization of Iron-Oxide@Carbon Core-Shell Nanoparticles＂, 2017中華民國物理年會, Jan., 2017. Cheng-Tai Tso*, Yih-Jaan Tsai, Huang-Huei Sung, Jung-Chuan Fan, Mei-Li Chen, Kun-Yauh Shih, Yaw-Teng Tseng, Jiann-Shing Lee, Hua-Shu Hsu, Chun-Rong Lin, “ Preparation and Magneto-Optical Behaviors of Fe3O4/Ag Nanocomposite Spheres＂, 2017中華民國物理年會, Jan., 2017. Mei-Li Chen, Kai-Huang Chen, Chien-Min Cheng*, Fuh-Cheng Jong, Hsuan-Hung Li, Han-Chin Chen and Po-Yu Hsieh, “ Investigation of Resistive Switching Properties in Samarium Oxide Memory Device＂, AMEC-2016 The 10th Asian Meeting on Electroceramics, Dec., 2016. Ching-Hsing Pei, Kai-Huang Chen, Mei-Li Chen and Chien-Min Cheng*, “Dielectric and Piezoelectric Characteristics Improvement of the LiF/ZnO Co-Doped LKNNT-Modified Lead-Free Ceramics＂, 2016 International Conference on Innovation, Communication and Engineering (ICICE 2016), Nov., 2016. Mei-Li Chen, Chien-Min Cheng*, Fuh-Cheng Jong, Kai-Huang Chen, and Yi-Yun Pan, “Transparent Indium Tin Oxide Resistive Random Access Memory Thin Films＂, 2016 International Symposium on Novel and Sustainable Technology (ISNST), Oct., 2016. Siang-Ru Huang, Mei-Li Chen* and Sheng-Chang Wang, “Synthesis and Characteristics of Layered Tin Sulfide Nanostructure＂, 2016 International Symposium on Novel and Sustainable Technology (ISNST), Oct., 2016. Mei-Li Chen*, Tung-Ying Tsai, Rong-Kuan Wu, Yu-Jun Zheng, Sheng-Chang Wang, and Fuh-Cheng Jong, “Optical and Structural Characterization of Tin Dioxide Nanoparticles＂, 2016 International Symposium on Novel and Sustainable Technology (ISNST), Oct., 2016. Mei-Li Chen*, Tung-Ying Tsai, Rong-Kuan Wu, Yu-Jun Zheng, Sheng-Chang Wang, and Fuh-Cheng Jong, “Synthesis and Characterization of Platinum Doped Tin Dioxide Nanoparticles＂, 2016 International Symposium on Novel and Sustainable Technology (ISNST), Oct., 2016. Mei-Li Chen, Chien-Min Cheng＊, Kai-Huang Chen, Fuh-Cheng Jong and Yi-Yun Pan, “ Resistive Switching Properties in Transparent Nonvolatile Indium Tin Oxide Thin Film Resistance Random Access Memories＂, 2016 International Conference on Applied System Innovation (ICASI 2016) , May, 2016. Kun-Yauh Shih, Yuan-Nan Chen, Cheng-Hong Jiang, Chang-Yen Tsai, Kai-Wen Wu, Hung-Yi Chen, Chun-Rong Lin, Jiann-Shing Lee, Hua-Shu Hsu, Mei-Li Chen, “Magnetic Behavior of CeCrO3 Multiferroic Nanoparticles＂, 2015 International Symposium on Nano Science and Technology (ISNST), Oct., 2015. Kun-Yauh Shih, Yuan-Nan Chen, Cheng-Hong Jiang, Chang-Yen Tsai, Kai-Wen Wu, Hung-Yi Chen, Chun-Rong Lin, Jiann-Shing Lee, Hua-Shu Hsu, Mei-Li Chen, “ Size Dependence of Magnetic Phase Transitions in Ni0.2Zn0.8Fe2O4 Nanoparticles＂, 2015 International Symposium on Nano Science and Technology (ISNST), Oct., 2015. Kun-Yauh Shih, Yuan-Nan Chen, Cheng-Hong Jiang, Chang-Yen Tsai, Kai-Wen Wu, Hung-Yi Chen, Chun-Rong Lin, Jiann-Shing Lee, Hua-Shu Hsu, Mei-Li Chen, “Synthesis and Magnetic Characterization of Iron-Substituted Cobalt Selenide Nanoparticles＂, 2015 International Symposium on Nano Science and Technology (ISNST), Oct., 2015. Kun-Yauh Shih, Yuan-Nan Chen, Cheng-Hong Jiang, Chang-Yen Tsai, Kai-Wen Wu, Hung-Yi Chen, Chun-Rong Lin, Jiann-Shing Lee, Hua-Shu Hsu, Mei-Li Chen, “Spin-Phonon Coupling in Ni(Fe,Cr)2O4 Nanoparticles＂, 2015 International Symposium on Nano Science and Technology (ISNST), Oct., 2015. Chang-Yen Tsai, Kun-Yauh Shih, Yuan-Nan Chen, Cheng-Hong Jiang, Kai-Wen Wu, Hung-Yi Chen, Chun-Rong Lin, Jiann-Shing Lee, Hua-Shu Hsu, Mei-Li Chen, “Magnetic Properties of Greigite and Pyrrhotite Nanoparticles Synthesized via Thermal Decomposition of Iron Nitrates with Sulfur Powder in Octadecylamine＂, 2015 International Symposium on Nano Science and Technology (ISNST), Oct., 2015. Mei-Li Chen*, Tung-Ying Tsai, Rong-Kuan Wu, Yu-Jun Zheng, Sheng-Chang Wang, and Fuh-Cheng Jong, “ Synthesis and characterization of Tin dioxide nanoparticles＂, 2015 International Symposium on Nano Science and Technology (ISNST), Oct., 2015. Mei-Li Chen*, Hsuan-Hung Li, Han-Chin Chen, Po-Yu Hsieh, Fuh-Cheng Jong, Chien-Min Cheng, and Kai-Huang Chen, “ Resistive switching properties of nanocrystalline Samarium oxide films in random access memory device＂, 2015 International Symposium on Nano Science and Technology (ISNST), Oct., 2015. Chien-Min Cheng*, Ching-Hsing Pei, Mei-Li Chen, “Characteristics Improvement of Li0.058(K0.480Na0.535)0.966(Nb0.9Ta0.1)O3 Lead-Free Piezoelectric Ceramics by LiF Additions＂, 2015 International Conference on Innovation, Communication and Engineering (ICICE 2015) , Oct., 2015. Chien-Min Cheng*, Ching-Hsing Pei, Mei-Li Chen, “The Inferences of ZnO Additions for LKNNT Lead-Free Piezoelectric Ceramics＂, 2015 International Conference on Innovation, Communication and Engineering (ICICE 2015) , Oct., 2015. Fann-Wei Yang, Chien-Min Cheng, Mei-Li Chen, “Integrating Steps for Solving Second- and Third-Order Nonhomogeneous Linear Ordinary Differential Equations＂, 2015 International Conference on Innovation, Communication and Engineering (ICICE 2015) , Oct., 2015. Chun-Rong Lin, I. S. Lyubutin, K. O. Funtov, T. V. Dmitrieva, S. S. Starchikov, Yu-Jhan Siao, Mei-Li Chen, “Magnetic transition in iron selenide nanoparticles induced by the redistribution Of Fe ion vancancies＂, 2015中華民國物理年會, Jan., 2015. Kai-Wen Wu, Hung-Yi Chen, Yueh-Ting Lin, Chih-Chang Chen, Cheng-Tai Tso, Yi-Sam Wu, Fu-Jen Hsu, Mei-Li Chen, Oksana Li, Chun-Rong Lin, “ Effect of particle sizes on the compensation transition of Ni–Fe–Cr ferrite nanoparticles＂, 2015中華民國物理年會, Jan., 2015. Hung-Yi Chen, Kai-Wen Wu, Chih-Chang Chen, Cheng-Tai Tso, Yi-Sam Wu, Fu-Jen Hsu, Mei-Li Chen, Oksana Li, Chun-Rong Lin, “ Facile synthesis and magnetic properties of hexagonal (Co,Fe)-Se nanoparticles＂, 2015中華民國物理年會, Jan., 2015. 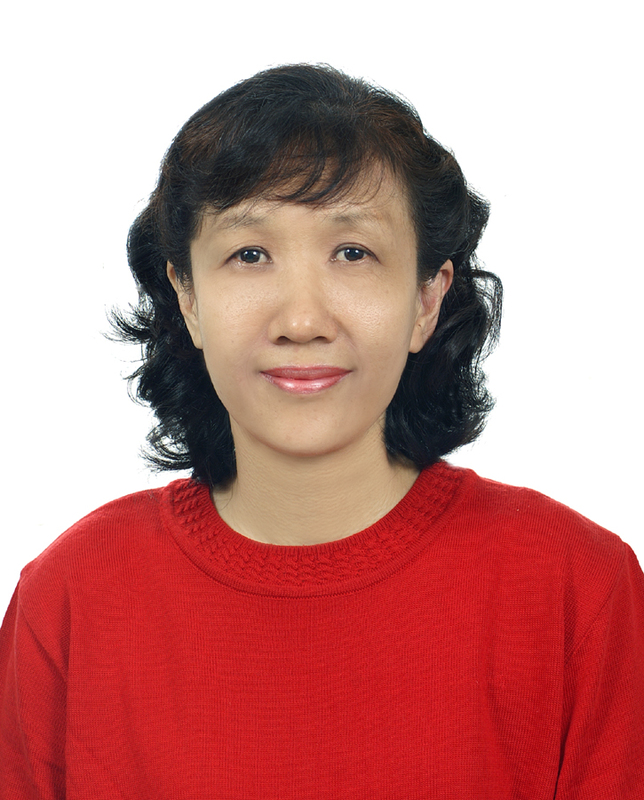 Mei-Li Chen*, Yi-Yun Pan, Chien-Min Cheng, and Kai-Huang Chen, “Resistive Switching Properties of Nanocrystalline Indium Tin Oxide films in Randomaccess Memory Device＂, 2014 International Symposium on Nano Science and Technology (ISNST), Oct., 2014. Mei-Li Chen*, Wei-Lun Lin, Chien-Min Cheng, and Kai-Huang Chen, “Resistive Switching Effects of Nanocrystalline Manganese Oxide films in Randomaccess Memory Device＂, 2014 International Symposium on Nano Science and Technology (ISNST), Oct., 2014. Mei-Li Chen*, Bo-Cyun Jiang, Chi-Wei Lin , and Chun-Rong Lin, “Optical and structural characterization of Lead Sulfide nanocrystals＂, 2014 International Symposium on Nano Science and Technology (ISNST), Oct., 2014. Mei-Li Chen*, Yi-Yun Pan, Sheng-Jhu Wang, and Chun-Rong Lin, “Optical and structural characterization of Tin Sulfide nanocrystals＂, 2014 International Symposium on Nano Science and Technology (ISNST), Oct., 2014. 林春榮、許華書、吳忠春、張崴縉、楊政峰、林儒禮、陳美利、Igor S. Lyubutin、Sergey S. Starchikov、Konstantin O. Funtov、林岳廷、黃國展、陳志彰，“自組装黃銅礦奈米粒子之合成、微結構與梅士堡光譜之研究＂，2014 Conference on Precision Machinery and Manufacturing Technology－PMMT 2014，May, 2014. Mei-Li Chen*, Ji-Fu Chen, Yi-Jie Huang, Chun-Rong Lin*, Jung-Chuan Fan, Huang-Huei Sung, Chih-Cheng Kao, “Optical and structural characterization of CoSe nanocrystals＂, 2014中華民國物理年會暨成果發表會, Jan., 2014. Mei-Li Chen*, Chang-Ming Liu, Yu-Heng Siao, Chun-Rong Lin*, Jung-Chuan Fan, Huang-Huei Sung, Chih-Cheng Kao,“Optical and structural characterization of NiSe nanocrystals＂, 2014中華民國物理年會暨成果發表會, Jan., 2014. Mei-Li Chen*, Yi-Yun Pan, Chien-Min Cheng, Kai-Huang Chen, “Electrical properties of resistive switches ITO/ ITOx/ ITO device＂, 2014中華民國物理年會暨成果發表會, Jan., 2014. Chun-Rong Lin; N.E. Gervits; I. S. Lyubutin; Chin-Chang Chen; Tzu-Fang Hsu; Hua-Shu Hsu; Yu-Chen Wang; Zhi-Hong Lin; Jiann-Shing Lee; S. G. Ovchinnikov; I. S. Edelman; Mei-Li Chen, “Size dependent magnetic properties of iron gallate spinel nanoparticles＂, 2014中華民國物理年會暨成果發表會, Jan., 2014. Mei-Li Chen*, Chang-Ming Liu, Yu-Heng Siao and Chun-Rong Lin*, “Synthesis and characterization of Nickel Selenide nanoparticles＂, 2013 International Symposium on Nano Science and Technology (ISNST), Nov., 2013. Mei-Li Chen*, Ji-Fu Chen, Yi-Jie Huang and Chun-Rong Lin*, “Synthesis and characterization of Cobalt Selenide nanoparticles＂, 2013 International Symposium on Nano Science and Technology (ISNST), Nov., 2013. Chun-Rong Lin, Ya-Wun Tu and Mei-Li Chen, “Magnetic Characterization of Monodisperse and Amorphous iron oxide Nanoparticles＂, International Conference on Nanoscale Magnetism 2013, Sep., 2013. Mei-Li Chen*, Yi-Yun Pan, Sheng-Jhu Wang, Chun-Rong Lin*, Jung-Chuan Fan, Huang-Huei Sung, and Chih-Cheng Kao, “Synthesis and characterization of SnSe nanocrystals＂, Annual Meeting of the Physical Society of Republic of China, p.89, Jan., 2013. Ya-Wun Tu, Bo-Jia Huang, Chung-Chun Wu, Cheng-Feng Yang, Mei-Li Chen, Sheng-Chang Wang, Yu-Chu M. Li, Chun-Rong Lin*, and Yi-Chu Hsu, “Magnetic properties of amorphous and monodisperse iron oxide nanoparticles synthesized in paraffin liquid＂, Annual Meeting of the Physical Society of Republic of China, p.84, Jan., 2013. Shaikh, Muhammad Omar; Lin, Chun-Rong*; Chen, Mei-Li; Hsu, Hua-Shu ; Huang, Guo-Jhan; and Chien, Pu-Cheng, “Effect of temperature on the crystal growth, size, shape and magnetic properties of spinel CuCr2Se4 nanocrystals＂, The 12th Joint MMM/Intermag Conference, p.122, Jan., 2013. Lin, Chun-Rong*; Chen, Mei-Li; Shaikh, Muhammad Omar;Han, Tai-Chun; Sung, Huang-Huei; and Fan, Jung-Chuan, “Size effects on the magnetic characterization and magnetic resonance in zinc-doped nickel ferrite nanoparticles＂, The 12th Joint MMM/Intermag Conference, p.90, Jan., 2013. Lin, Chun-Rong*; Siao, Yu-Jhan; Chen, Mei-Li; Wang, Cheng-Chien; Chen, Geng-Ben; and Jhang, Geng-Hao, “Synthesis and Magnetic Properties of FeV2O4 Nanoparticles＂, 2012 MRS Fall Meeting, Nov., 2012. Mei-Li Chen*, Bo-Cyun Jiang, Chi-Wei Lin , and Chun-Rong Lin*, “Synthesis and characterization of PbS nanocrystals＂, International Symposium on Nano Science and Technology (ISNST), pp. 108-109, Nov., 2012. Mei-Li Chen*, Sheng-Jhu Wang, Yi-Yun Pan, and Chun-Rong Lin*, “Synthesis and characterization of SnS nanocrystals＂, International Symposium on Nano Science and Technology (ISNST), pp. 112-113, Nov., 2012. Mei-Li Chen*, Chun-Chieh Fang, and Chun-Rong Lin*, “Synthesis of ZnSe semiconductor nanocrystals, International Symposium on Nano Science and Technology (ISNST), pp. 114-115, Nov., 2012. Mei-Li Chen*, Chun-Chieh Fang, and Chun-Rong Lin*, “Synthesis and characterization of Mn-Doped ZnSe nanoparticles, International Symposium on Nano Science and Technology (ISNST), pp. 213-214, Nov., 2012. Lin, Chun-Rong*; Lu, Shin-Zong; Siao, Yu-Jhan; Chen, Mei-Li; Jhang, Geng-Hao; Chen, Geng-Ben; Wang, Cheng-Chien; Chiang, Chen-Li; and Wang, Sheng-Chang, “Magnetic properties of greigite and pyrrhotite nanoparticles synthesized via thermal decomposition of iron nitrate with sulfur in octadecylamine＂, 2012 International Magnetics Conference, May, 2012. Lin, Chun-Rong*; Siao, Yu-Jhan; Chen, Mei-Li; Wang, Cheng-Chien; Chen, Geng-Ben; and Jhang, Geng-Hao, “Iron oxide nanoparticles embedded in polymer- composite nanospheres and nanocomposite films＂, 2012 International Magnetics Conference, May, 2012. Mei-Li Chen*, Chun-Chieh Fang, and Chun-Rong Lin, “Synthesis of Mn-doped zinc blende ZnSe nanocrystals＂, International Symposium on Nano Science and Technology (ISNST), pp. 96-97, Nov., 2011. Mei-Li Chen*, Shang-Che Chung, Geng-Wei Lin, and Hung-Chang Lin, 2010 “A Two-Dimensional Analytical Model for Nano Single Halo Dual-Material Double Gate MOSFET” , International Conference on Opticals and Photonics in Tawian , OPT1-P-123, P.141, December 03-04, Tainan, Taiwan. M. L. Chen*，W. K. Lin，and S. F. Chen, “A Two-Dimensional Analytical Threshold Voltage Model for Symmetrical Tri-Material Gate Stack Double Gate (STMGSDG) MOSFET，s”, International Electron Devices and Materials Symposium, Taoyuan, Taiwan. (2009). M. L. Chen* and T. K. Chiang, “Analytical Modeling of Quantization and Volume Inversion for Nanoscale Surrounding- Gate MOSFETs＂International Symposium on Nano Science and Technology (ISNST), pp. 204-205, Nov., 2008. T. K. Chiang, M. L. Chen and H. K. Wang , “A New Two-dimensional Model for Dual Material Surrounding-Gate (DMSG) MOSFET’s＂, IEEE International Conference on Electron Devices and Solid-State Circuits (EDSSC), pp. 597-600, Dec., 2007. T. K. Chiang and M. L. Chen, “A Three-Dimensional Analytical Model for subthreshold behavior in fully-depleted SOI FinFET”, International Symposium on Nano Science and Technology (ISNST), pp. 282-283, Nov., 2007. T. K. Chiang and M. L. Chen, “Quantum Mechanical Threshold Voltage Model for Short-Channel Symmetrical Double-Gate Nanoscale MOSFETs＂, International Symposium on Nano Science and Technology (ISNST), pp. 280-281, Nov., 2007. T. K. Chiang, Y. K. Shiau and M. L. Chen, “A New Two-Dimensional Analytical Model for Fully Depleted Dual Material Gate SOI MOSFET’s＂, International Symposium on Nano Science and Technology (ISNST), pp. 293-294, Nov., 2007. T. K. Chiang and M. L. Chen, “A New Analytical Two-Dimensional Threshold Voltage Model for Symmetrical Dual-Material Double-Gate MOSFETs＂, International Electron Devices and Materials Symposia (IEDMS), pp. 397-398, Dec., 2006. T. K. Chiang and M. L. Chen, “A New Two-Dimensional Analytical Model for Threshold Voltage in DG MOSFETs with High-K Gate ＂, International Symposium on Nano Science and Technology (ISNST), pp. 288-289, Nov., 2006. T. K. Chiang and M. L. Chen, “A New Two-Dimensional Analytical Model for Threshold Voltage in DG MOSFETs＂, International Symposium on Nano Science and Technology (ISNST), pp. 201-202, Nov., 2005. T. K. Chiang and M. L. Chen, “A compact, continuous analytic I-V model for surrounding-gate MOSFETs＂, IEEE International Conference on Solid-State and Integrated-Circuits Technology (ICSICT), pp.1196--1200, Oct., 2004.